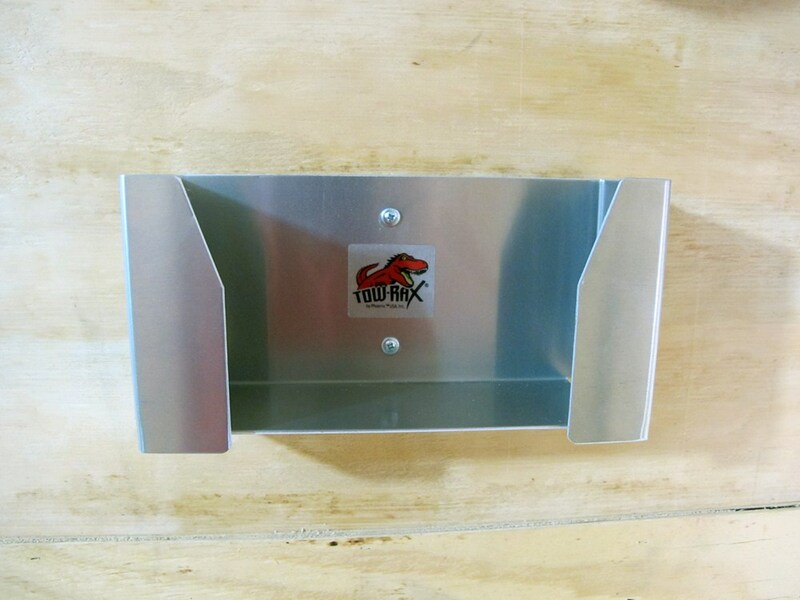 Tow-Rax Disposable-Glove Dispenser Tray - Aluminum - 10" x 5" x 3-1/3"
This handy tray is designed to hold a 100-count box of disposable gloves - that measures 9-1/2" wide x 4-3/4" tall x 3" deep - for quick, easy access. Mount it to your toolbox or to the side of your workbench for ultimate convenience. Lowest Prices for the best trailer cargo organizers from Tow-Rax. 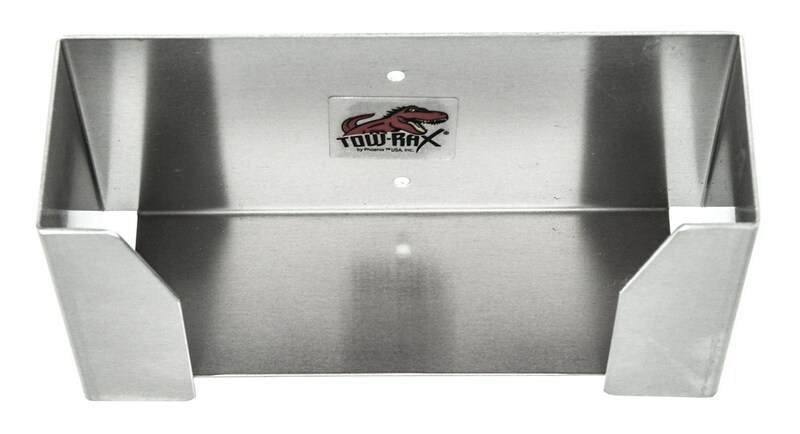 Tow-Rax Disposable-Glove Dispenser Tray - Aluminum - 10" x 5" x 3-1/3" part number TWSPGD can be ordered online at etrailer.com or call 800-298-8924 for expert service. 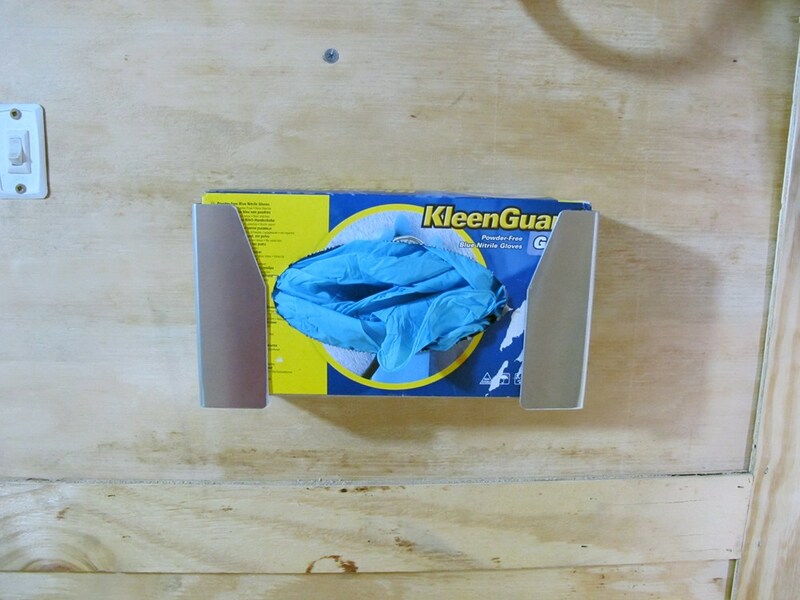 This handy tray is designed to hold a 100-count box of disposable gloves - that measures 9-1/2" wide x 4-3/4" tall x 3" deep - for quick, easy access. Mount it to your toolbox or to the side of your workbench for ultimate convenience. Don't get your straps in a jumble. Store them neatly with this specially designed, 6" wide strap hanger from Erickson. Just bolt to wall and hang strap hook ends over bar. This hanging rack lets you keep 1 cut-off saw neatly stored inside your enclosed trailer. 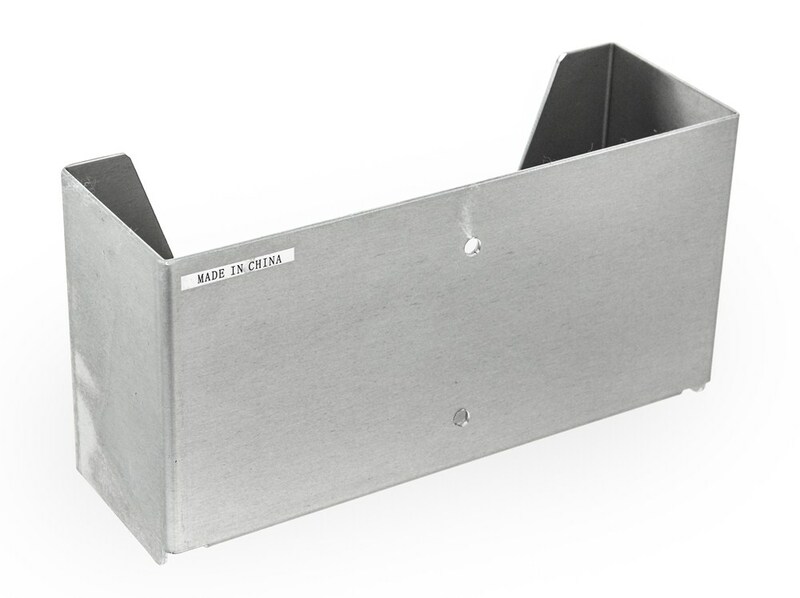 Powder coated steel rack has a specially designed tray and strap that securely hold the saw in place. Wall hangers and mounting hardware included. 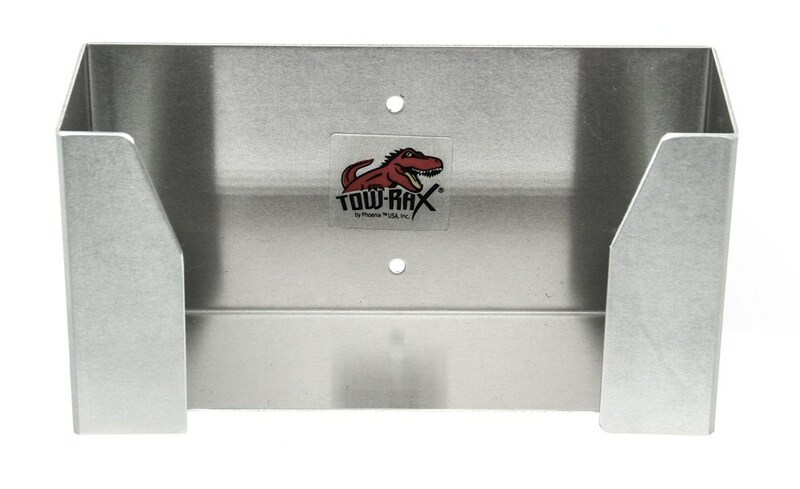 Video of Tow-Rax Disposable-Glove Dispenser Tray - Aluminum - 10" x 5" x 3-1/3"
Today we're going to be taking a look at the Tow Rax Disposable Glove Dispenser Tray, part number TWSPGD. Now it comes pre-drilled with two holes to mount it in many different locations. In this particular instance, we're going to be mounting it to the wall of our enclosed trailer. 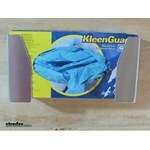 Now that our bracket is nice and secured to the wall, we can go ahead and put in our disposable gloves. Now this rack is designed for a 100 count box. Simply slides into place. Whenever you need a pair of gloves to keep your hands from being dirty and what not, you simply just pull one out, ready to go. The tray itself measures 10 inches wide by 5 inches tall and 3 1/3 inches deep. It is constructed of a light weight alumimnm and has a machined finish to it. 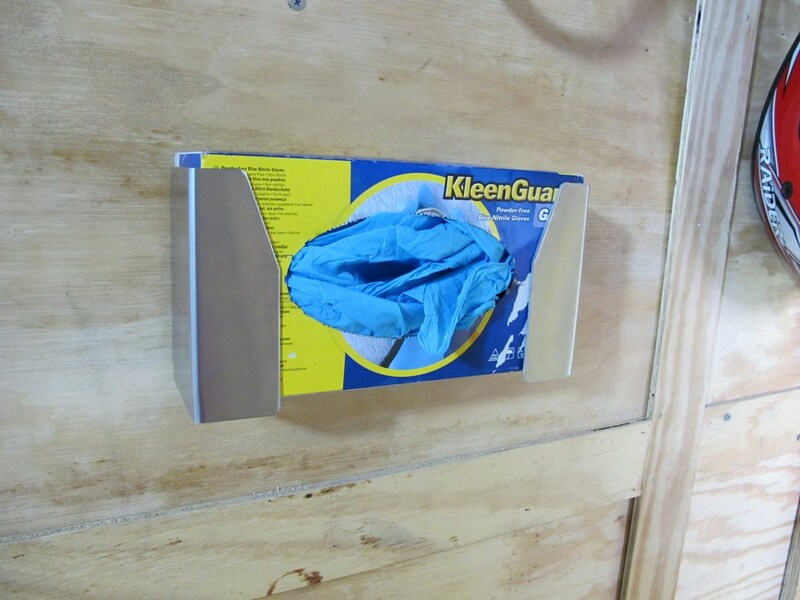 Now in our instance today, we did mount it to the wall of our enclosed trailer, but there's any other locations that you can mount this disposable glove dispenser tray to. You can put it on the side of your work bench. You can even mount it to the side of your tool box if you wanted to. And that will do it for our quick look at the Tow Rax Disposable Glove Dispenser Tray made out of aluminum, part number TWSPGD. .
Order: RelevanceNewestRating - High to LowRating - Low to High This handy tray is designed to hold a 100-count box of disposable gloves - that measures 9-1/2" wide x 4-3/4" tall x 3" deep - for quick, easy access. Mount it to your toolbox or to the side of your workbench for ultimate convenience.